I’ve recently started a Pinterest of Spanish resources and came across some lovely maps as I was pinning. None of them would actually serve to guide your way so no good for directions really, but they sparked a few ideas! This map is a composite of a number of graphics used in an article on Spain. I like the stylised topography and selection of places of interest in various towns. Name the monuments on the map of Spain. Assign each group a monument to research. Identify the mountain ranges. Which is tallest? What activities can be done in the mountains? 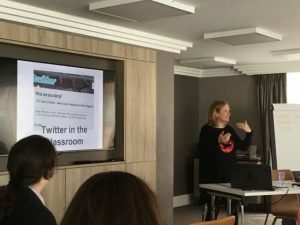 Give learners their own blank map of Spain and ask them to select places of interest, features such as rivers or lakes etc to mark on their own infographic map. This isn’t an infographic, rather a site that is packed with interactive maps looking at the geography of Spain. You can try to name the rivers, mountains, autonomous regions, provinces and so on. I particularly like the provincias one above as the shapes give you a clue – they’re quite tricky puzzles! 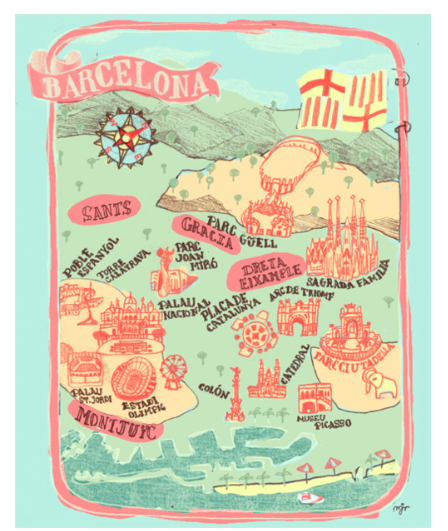 This map of Barcelona gives the vague geographical layout of several monuments and places of interest. Challenge learners to plan a visit that includes all or a selection of the places on the map using public transport. Draw a map of their town or a large city in the same style. 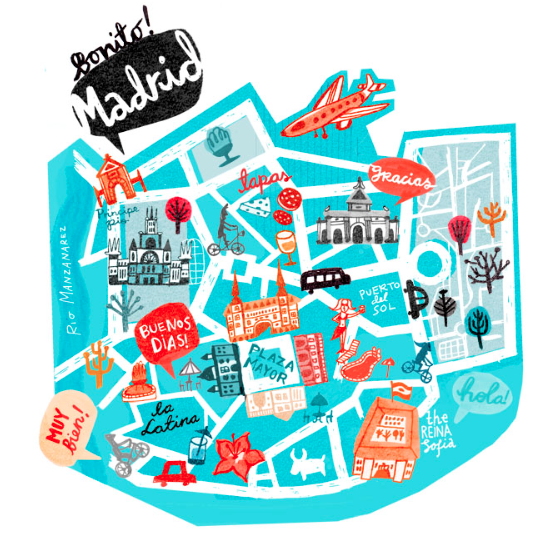 And this map of Madrid has even less geographical information but also includes some phrases that you might hear / use, and some ideas of things to do as well. 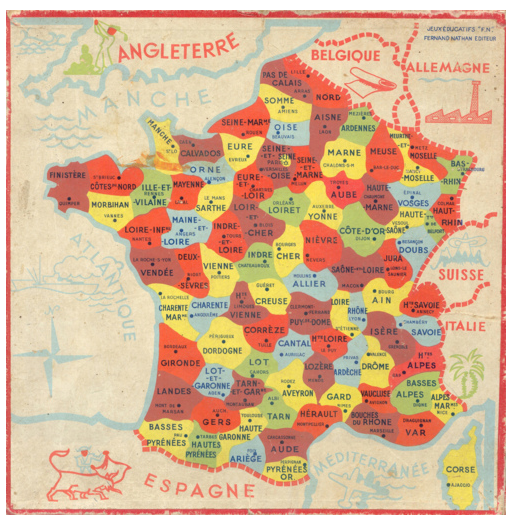 There’s a similar map of Paris. Design a similar map for your local area; which places would you recommend? what would you do? which phrases might sum up your area? Compare the above with a plan of Madrid. Is it accurate? Discuss the differences using Group Talk phrases of opinions and agreement/disagreement. And then there are maps of Spanish speaking countries. 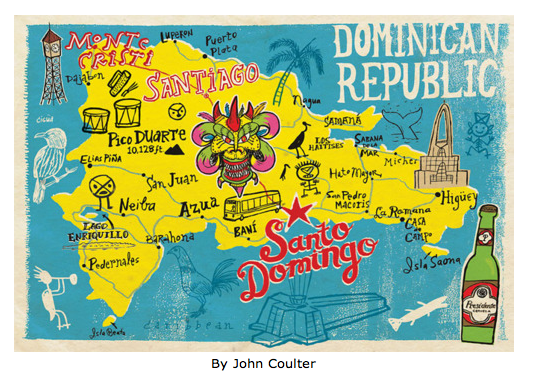 This one of the Dominican Republic is possibly the nearest to an accurate map here. Where is the Dominican Republic? How did it get its name? There are ‘doodles’ all over the map. What are they? The maps above and below come from a site with lots of map /infographic images of Spanish speaking countries. I like the use of colour in these maps. 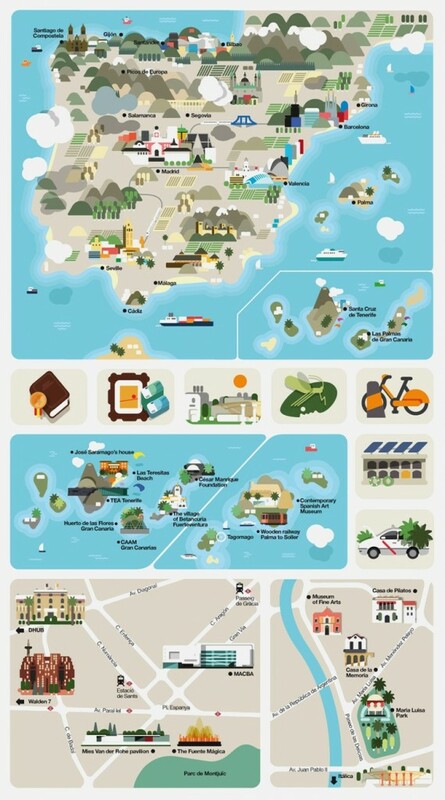 Make your own tourist map in the style of either map – off the beaten track activities, food you mustn’t miss, insider knowledge of the best coffee and so on. And if you don’t want to do activities with the maps, they makes lovely displays! Just found this helpful video on Youtube that shows you how placeSpotting.com works, and as I can’t edit the previous post for some reason, I’ve made an appendix to the original post. You may have noticed I’ve got a new widget on ¡Vámonos! labelled Where in the world…?? I’m now addicted to the site – given the cold and hail/snow, it’s a fine way to spend a Bank Holiday afternoon, improving my Geographical knowledge (not my strong point). Some of the puzzles are fiendishly hard, others are very easy – I had to find the border between France and Spain yesterday! Here are a few puzzles I’ve made to bamboozle you – they’re not hard! Congratulations to @mrmackenzie and @josepicardo for solving the first one very quickly!